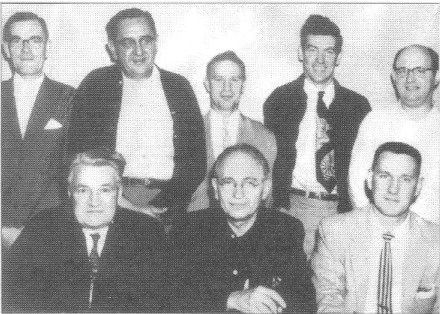 Pictured below are a few of the early members of the Greater Cincinnati Rental Association from around 1954, some of whom have served as president of ARA. All members past and present can thank these Gentlemen and others like them for having the forethought to create a first of its kind organization for the betterment of the rental industry for the tri-state area of Ohio, Kentucky and Indiana.  The Greater Cincinnati Tool Rental Association was formed in 1953 (two years prior to the American Rental Association). This small group of rental operators had the vision that competitors could come together to exchange ideas and information to create a buying group that today is widely respected in the rental industry. The vision of closer relations between rental stores, manufacturers and their reps have created an organization that has grown with many distinctive advantages for its members. As seen in the picture below at the annual Christmas party in 2016, membership has grown to be very active with numbers exceeding 25+ members and 40+ associate members that support each other leading to the success of everyone involved. Monthly meetings are still held to this day similar to the way they were in the beginning creating an environment that has become an event that members look forward to attending every month.